Mummies, pyramids, pharaohs, King Tut! 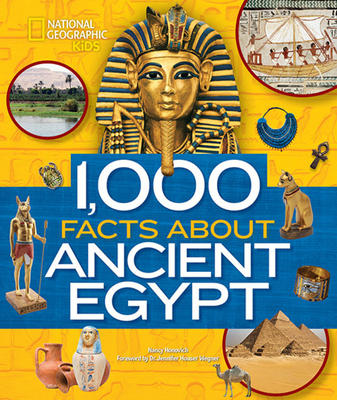 Kids everywhere are fascinated by the wonders of ancient Egypt, and this colorful reference book is jam-packed with 1,000 fascinating facts. From the Great Pyramid and the Valley of the Kings to the Nile River and Cleopatra, discover all you have ever wanted to know about this ancient civilization. Unearth ancient hieroglyphs and their meanings; find out what was in King Tut's tomb; and get insights about the science of mummification. Learn about ancient Egyptian gods and famous pharaohs, and follow Egypt's battles for power in the world. After this deep dive into Egyptology, you'll be able to dazzle your friends and family with your newfound knowledge.